Prayers from the Ministry of Health and Medical Services for more resources are slowly being answered, with the donation of 30 ambulances from China. 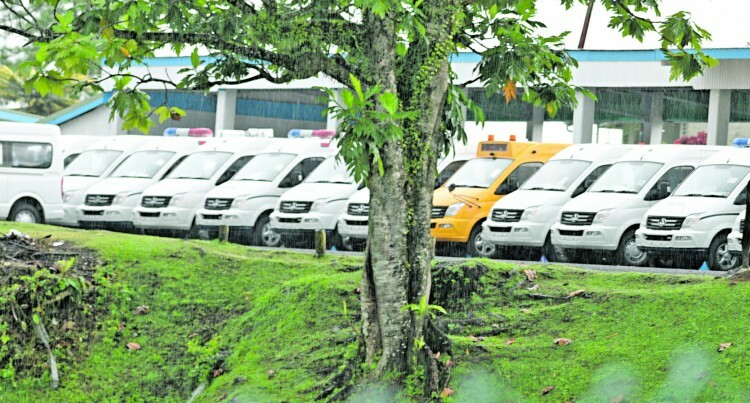 The ambulances are part of a donation of 200 vehicles by China, in response to a request made last year. Permanent Secretary in the Prime Ministers Office Yogesh Karan said that this was a much appreciated donation. “We are delighted and it has come at the right time to help the various ministries and departments,” he said. The donation includes the 30 ambulances, 20 cargo vans, 50 Police cars, 50 school buses, and 50 mini buses. “The cargo vans and mini buses will have to be divided among the departments and ministries while the others go to their specific areas – Police, Education Ministry and Ministry of Health.” Mr Karan said. He confirmed that the official handover of the vehicles by China to our Government will be made later this week. The vehicles are being kept in Suva.